CLEARWATER, Fla. - Oct. 17, 2018 - PRLog -- On Sunday the 14th of October, the Clearwater Community Volunteers Center hosted National Multicultural Day with Caregivers Helping Hand, a Tampa Bay nonprofit that helps the elderly through volunteer work and charitable events. In observance of the national day, which was established to generate understanding and tolerance between different cultures around the world, nine different ethnic groups were highlighted in presentations of their respective cultural dances, music and clothing. Entertainment began with a singing of the Star Spangled Banner followed by performances from the ethnic groups. 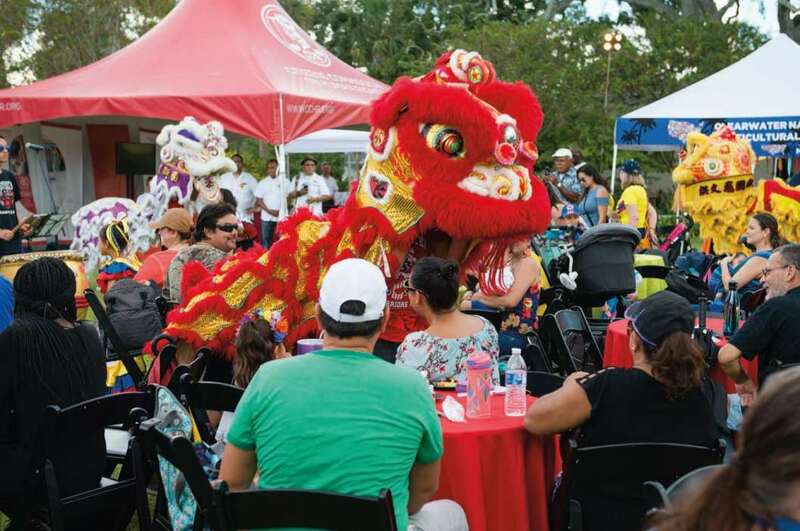 From Columbian dancers to Chinese lion dancers and traditional African Kumba story telling, the event emphasized the heritage of nationalities the world over. "Displaying our diversity brings about tolerance between the various cultures around the world," said Clemence Chevrot, Director of the Clearwater Community Volunteers Center. "This generates goodwill within our community that enables us to work together, just as humanitarian L. Ron Hubbard wrote, 'Tolerance is a good cornerstone on which to build human relationships.'" The event was held at Osceola Courtyard, located on the corner of North Fort Harrison Avenue and Drew Street. The next event at the Courtyard will be the Halloween Movie Night featuring family-friendly activities such as face painting, Trick-or-Treating and a costume contest. This event is being held on Halloween night, the 31st of October. For more information about the Halloween Movie Night, or about the Clearwater Community Volunteers Center please call Michael at (727) 316-5309 or email ccvcenter@ccvfl.org.